Dun I love my very helpful readers! Thanks to a reader of mine (thanks Mark! 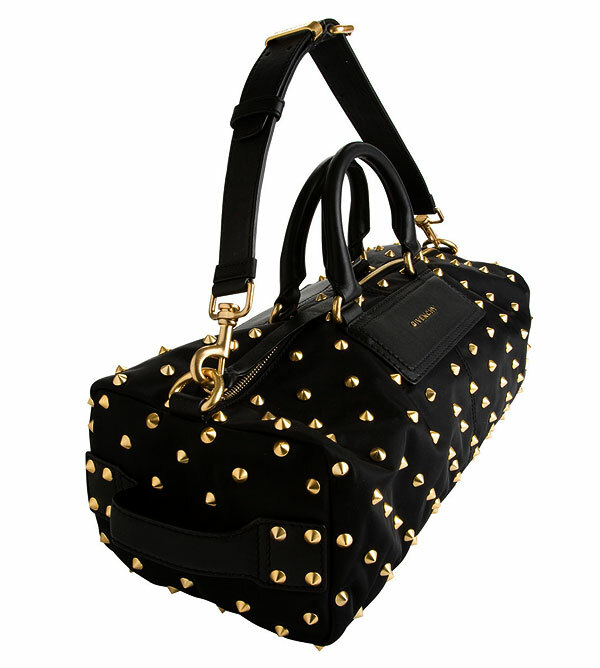 ), I finally locate pics online for the Givenchy Studded Nylon Duffel Pelayo has been seen carrying and me drooling over. it's growing on me. are you getting one? omg this bag is to die for!!! I tried this bag in BKK...but it feels too small:-(. Maybe I am too tall to pull this off. I would love to get the bag, I will think about it again. I have many Givenchy stuff and its a very excellent quality! Love it. But I don't think I could pull this off! Anyone knows the dimension of this bag? I just bought this in BKK during sale...but it's silver hardware though...not as nice as gold but still good enough.